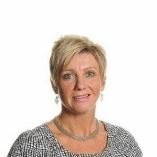 "Thanks to Sam, for a very pleasant experience. " The Nissan Qashqai you searched for (DL17UGT) is no longer in stock. Here are more cars which might be of interest. The Nissan Qashqai does everything very well - It's smooth, it handles and rides well, isn't too big and is pretty comfortable for five. The Qashqai fearsomely competent everyday car that ticks a lot of boxes for a lot of lifestyles. Acenta specification adds larger alloy wheels, leather trim for the steering wheel and gear knob, the false boot floor, dual-zone climate control and, impressively, automatic headlights and windscreen wipers - in addition to four electric windows, a 5.0in screen, an admirable passive and semi-active safety suite and cruise control. Personalised video available upon request - Ask about our unique Warranty4Life product. Fitted with essentials such as Bluetooth includes phone connection and music streaming, CD Player, Electric mirrors, Folding rear seats, Front electric windows, Heated mirrors, Isofix child seat anchor points, Remote locking, Service indicator, Side airbags, Alloy wheels, Body coloured bumpers, Cloth seat trim, Cruise control, Front fog lights, Height adjustable drivers seat, Lumbar support and plenty more. The Nissan Qashqai is a roomy, easy-to-use interior car with sharp looks and is well built, loaded with plenty of desirable essentials. Our Nissan Quashqai is finished in Silver Paint with Cloth Upholstery plus 17 inch Alloy Wheels. Specification highlights include Split Folding Rear Seats, Isofix Preparation, Lumbar Support, Tyre Pressure Monitoring System, 12V Power Port, Centre Armrest, Cup Holders, Dual Zone Climate Control, Front Fog Lights, Auto High Beam Assist, LED Daytime Running Lights, Panoramic Sunroof, DAB Digital Radio, CD Player, USB Connection, Electrically Heated Door Mirrors, Navigation System, Cruise Control, Front and Rear Parking Sensors, Lane Departure Warning System, Rear View Camera, Bluetooth Connectivity, Hill Start Assist, Privacy Glass and Rain Sensing Windscreen Wipers. Our Nissan Qashqai has low mileage and great specification. Call us today to arrange your test drive. Fitted with desirable essentials such as Satellite navigation system with colour display touch screen, 3D and voice, maps updated via internet and traffic information, Front and rear radar and camera-type parking distance sensors, Audio system with CD player that reads MP3 CDs; radio receives AM/FM, digital and RDS, Bluetooth includes phone connection and music streaming, Automatic air conditioning with two climate control zones. 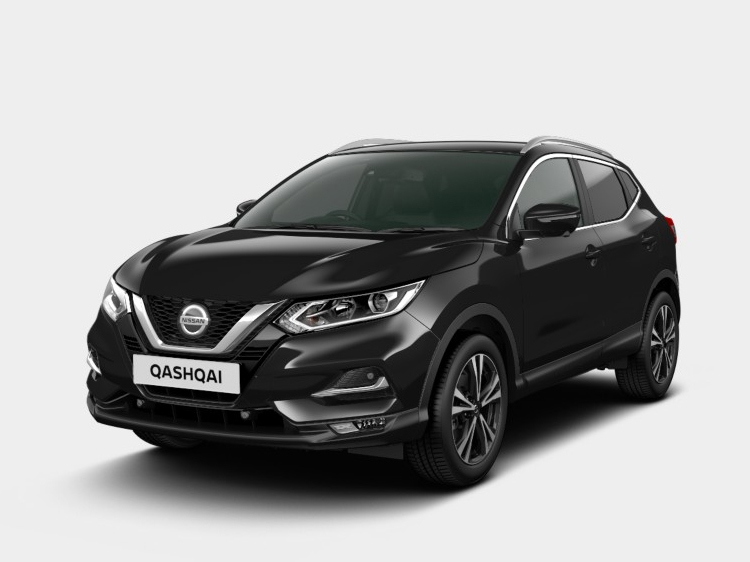 The Nissan Qashqai is a practical SUV with low running cost and comes fitted with essential like reverse camera, touchscreen with Satellite Navigation, Bluetooth and plenty more. Excellent vehicle in our used car range, this vehicle has lots of desirable features as you would expect on a premium brand vehicle. All models come well equipped. Excellent vehicle in our used car range, this vehicle has lots of desirable features as you would expect on a premium brand vehicle. Great Nissan Qashqai 1.6 dCi N-Tec&plus; Xtronic in our used car stock. Contact us for more details. This Nissan Qashqai comes with Cruise control, Around view monitor, Front and rear parking sensors, Power assisted steering, Trip computer, Traffic sign recognition, 5 inch TFT driver information centre, DAB radio/ CD player, Steering wheel mounted audio controls, USB/ aux input socket, Automatic headlamp activation, Electric heated door mirrors, Electric front/rear windows, Rain sensor windscreen wipers, Rear privacy glass, 12V socket, Dual zone climate control, Heated front seats, Isofix child seat preparation, ABS, brake assist and EBD, Driver/ front passenger airbag, Electronic parking brake, Hill start assist, Tyre pressure monitoring system, Alarm, Immobiliser, Intelligent Key, Remote central locking. 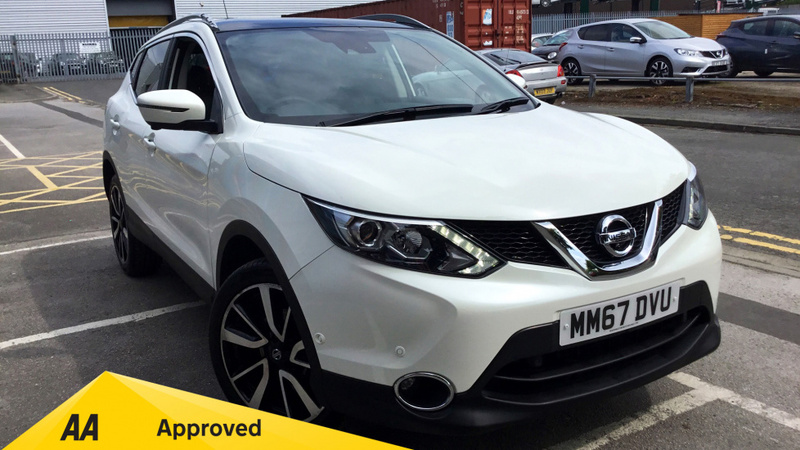 This Nissan Qashqai is a beautiful car to drive due to its ease and comfort!